Here at the INKY Squid Homestead we strive to provide quality animals to fit whatever your needs may be. While we focus on genetics built for the show ring, we also try to meet our customers needs of pets and usually have something that is suited for that purpose. When we started, we bought a trio of registered Nigerian Dwarf goats that we really just wanted to have for milk for our family and soap. 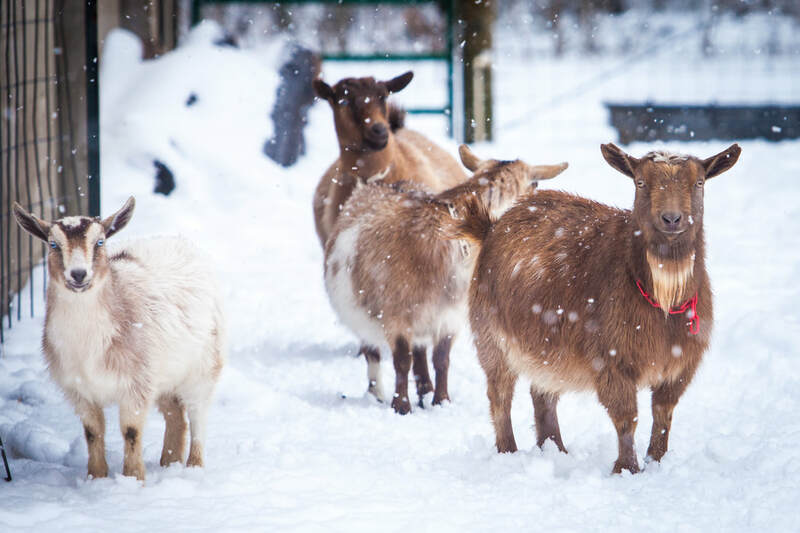 Our focus started to shift when we entered the world of goat shows and then made the decision to invest in some better genetics and begin developing our show herd. Along the way we have added a few Nubian, Lamancha, and Toggenburg's as well that our boys enjoy showing. ​While genetics are important in the world of show animals, daily care and maintenance is equally important. All sales are final, but we don't just sell you a goat and send you on your way, we also give you access to knowledge and education and welcome questions you may have anytime after the sale! We want to make sure that our beloved animals go to wonderful homes with knowledgable owners. We test our herd annually for CAE, CL, and Johnne's and make sure that all kids are vaccinated, feet trimmed, dewormed as necessary, and given a coccidia preventative every 3 weeks until they leave our care or turn 6 months old. Your little (or big) darling will be in top health when it leaves our farm! ​Please browse through the drop down menu to look at our stock, goats for sale, and our sales policies. Use the "contact" bar to send us any questions you may have!